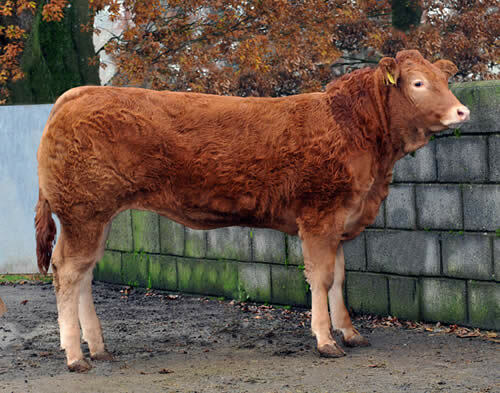 Ramadan was our original Limousin purchase and had won the Limoges show as a 6 month calf in 1980 at the same show as his dam won her class for calved heifers. Much of his work for us was in the early years and mainly on our commercial suckler herd. However, the few females that he left in the pedigree herd had quite an impact. Posted on 18th February 2015 at 10:02 am. In 2002 we bought Pantin as a 3 year old not only for his obvious conformation and fleshing, but also for the phenomenal quality of his paternal sisters (by Nickel) in the Lajudie Herd. Having been used on only seven cows in the Autumn of 2002 he then became our main successor to Jockey. He bred exceptionally well for us, and we still use him by AI to this day. He was very easy calving and produced males and females of exceptional quality. His first daughter here, Ultrabright is one of our very best cows today. 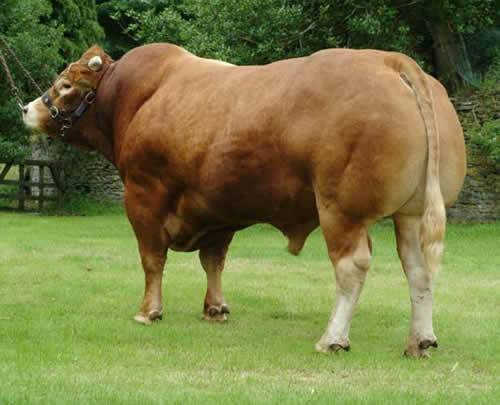 A true Limousin excelling in Growth, Muscle and Maternal traits. Posted on 17th February 2015 at 2:21 pm. Safran was bought as a young calf in 2001 from the famed Camus herd as our pick of the Malibu calves. 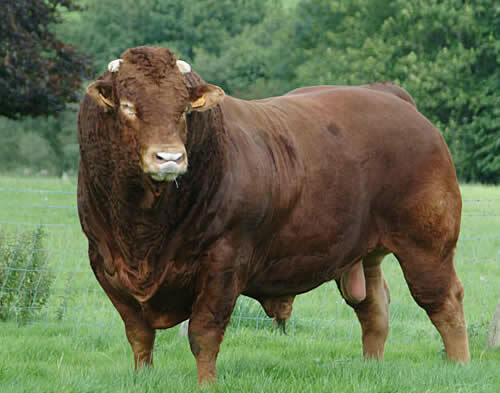 He was an extremely muscular bull, almost obscenely so, but also had great length and depth.He looked every inch a bull breeder, but the years proved him to be an exceptional female breeder, ilustrating the dominance of his great sire, Malibu, and the exceptional dam, Idole. Posted on 17th February 2015 at 2:19 pm. Senateur was also bought as a 10 month old calf. We were attracted to the rare combination of extreme growth and style and muscularity in such a young animal. Although bought in Autumn 2002, for reasons beyond our control, it was late in 2003 that we took delivery of him, and he only arrived to catch a couple of females at the end of the season. 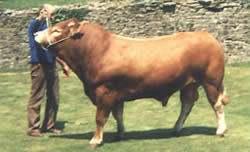 It was intended to show him in 2004 at the Royal Welsh and the ILC International Show. Unfortunately he ripped his ring out a few weeks before and had to stay at home. 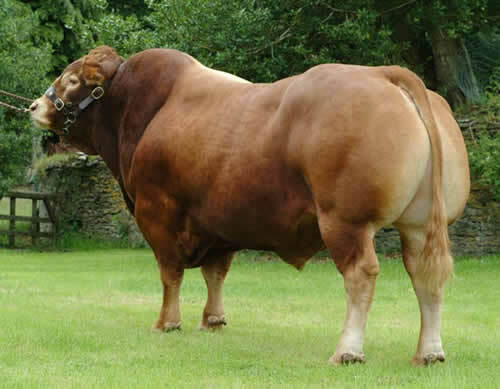 However, many who attended our ILC open day in August 2004 were mightily impressed by him, with some labeling him “the best bull of the whole ILC”. Posted on 17th February 2015 at 9:30 am.